Penguins make math so fun!! 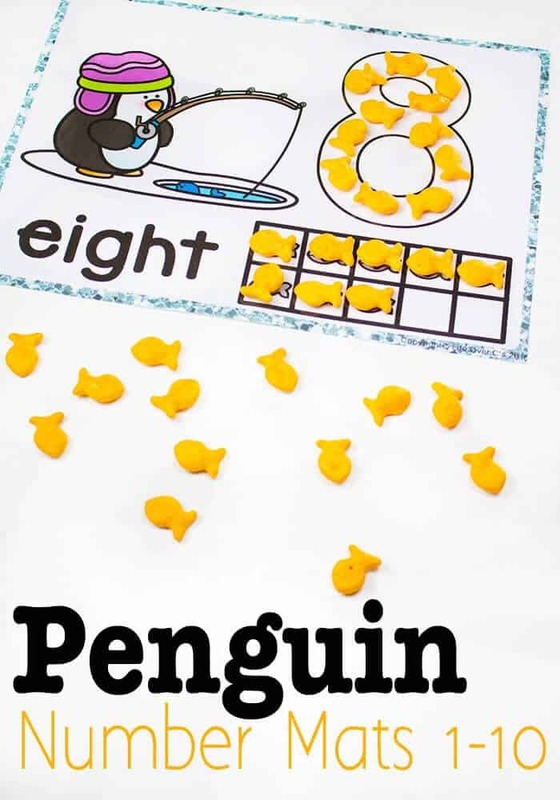 Yesterday, I shared the Penguin Addition to 100 game and today I have created a fun new theme for our number mats. You love them with play dough…. what about goldfish!?!?! 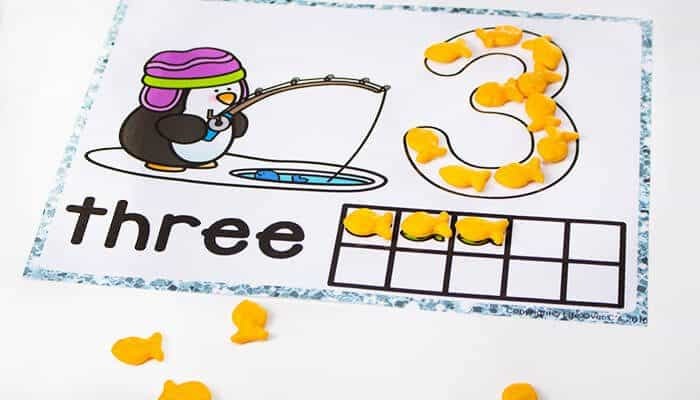 These penguin number mats for 1-10 are perfect for using with play dough, just like my most popular printable ever, the tree play dough mats, but you can also use them with a favorite snack of all my kids, goldfish crackers!! To prep: Simply print and laminate. 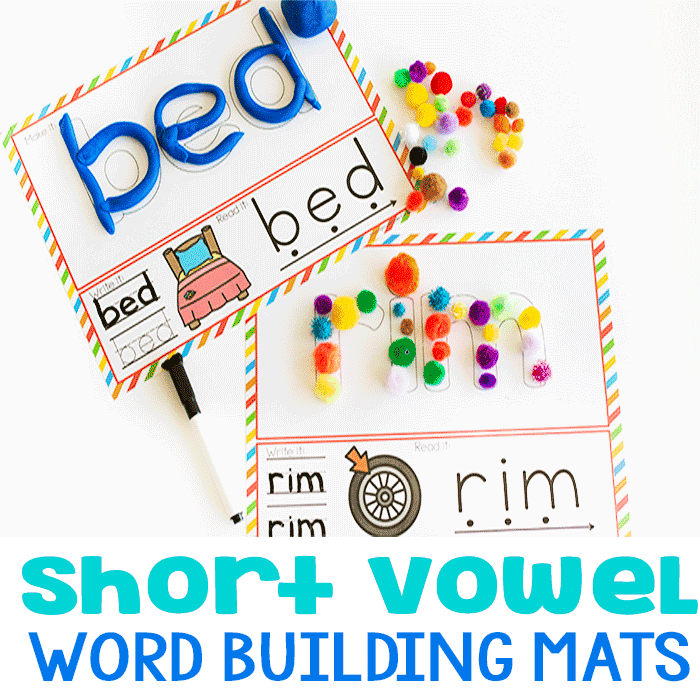 You can use these mats with play dough and roll out the shape of the numbers. 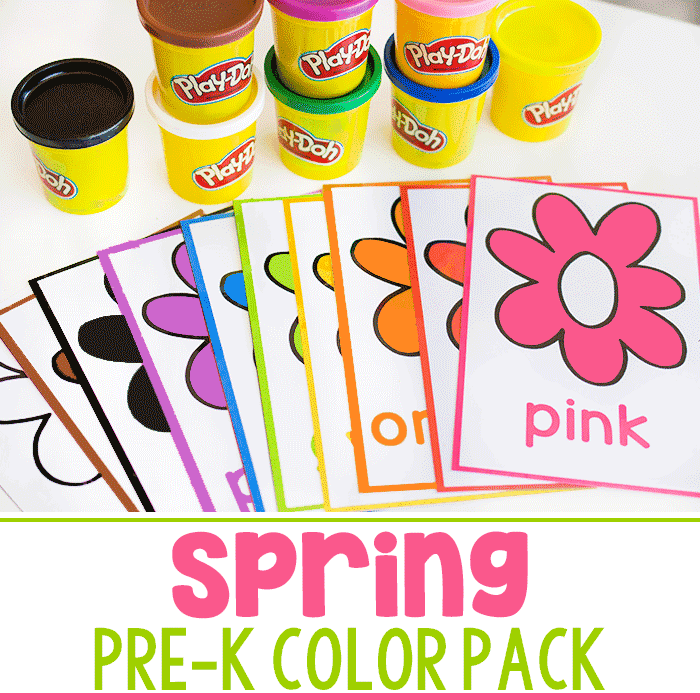 That is great for fine motor skills and kids love play dough. This time we changed it up and had a snack while we counted. Shiloh’s favorite numbers to say right now are 7, 8, 9. They have replaced “e” as her favorite thing to call every piece of text. 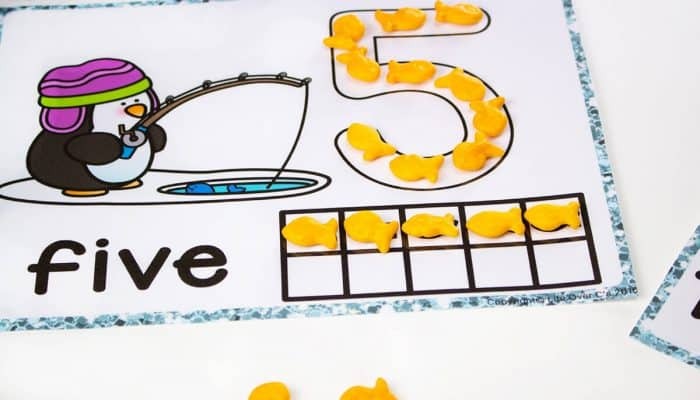 We had fun placing the fish on top of the pictured fish in the ten-frames, counting up as we went. Then we traced the numbers with our fish. Well, honestly, I traced…. Shiloh snacked. She was hungry after a busy afternoon at school. 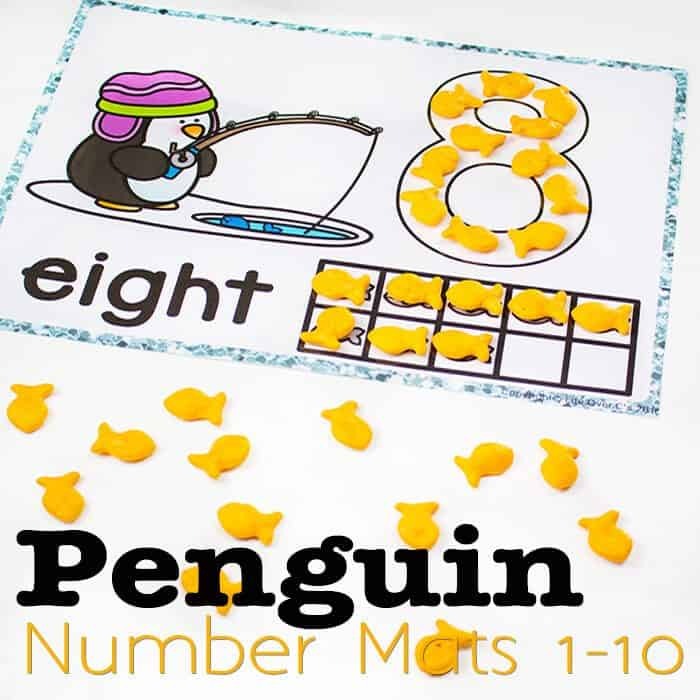 She is not at the stage of writing letters and numbers yet, but with continual exposure and hands-on opportunities to learn, like these penguin number mats, she will master her numbers. We are very excited about her progress over the last few months! We are finally able to understand almost everything she says! You could also try Swedish fish for tracing, though they would be too big for the ten-frame. It would make a sweet treat for a math lesson! 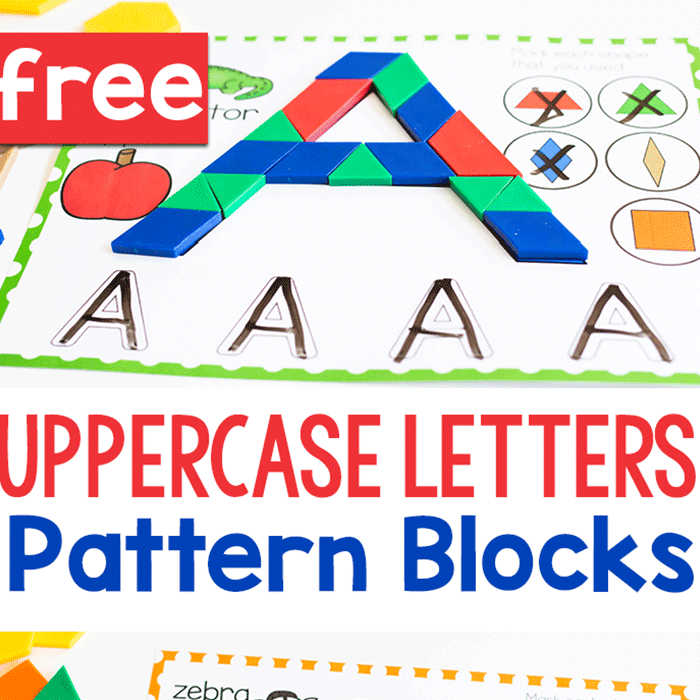 You can find all of our number mats here. Just want to stop by and let you know that your post is being featured on the Good Tips Tuesday Linkup. Thanks for join us each week!